adamblight-fencing.com – The website for Sheffield Buccaneers head coach Adam Blight. Adam Blight’s Youtube Channel – Large amount of fencing video of competitions including Regional, National and International, videos of coaching and other fencing related video. ziemek-masterclass.com – The website for the Sheffield based Summer coaching course run by Ziemek Wojciechowski. Barnsley Fencing Club – Fences on Tuesday nights from 6:00pm to 8:00pm and meets at Penistone Grammar School. Adam Blight also coaches here. Sheffield University Fencing Club – Many of our friends who are students at the university also fence here. Leeds Fencing Club – Another Successful and well established Yorkshire fencing club which fences on Mondays at Kirkstal Leisure Centre an runs the Yorkshire Foil Championship each year. Salle Kiss – The club in Manchester where our good friend Robert Kiss coaches. Marshall Fencing – The club of our good friend Stuart Marshall based at the Manchester Fencing Centre. Federation Internationale D’escrime – the International Governing Body of fencing. The British Fencing Association – the National Governing Body of fencing. England Fencing – The England section of the British Fencing Association. Yorkshire Fencing – The Yorkshire Regional section of the British Fencing Association. NW Fencing – The North West Regional section of the British Fencing Association. EM Fencing – The East Midlands Regional section of the British Fencing Association. British Accademy of Fencing – A coaching organisation for fencing in the Britain providing a comprehensive programme of support and teaching for coaches. Leon Paul Equipment Company – Top quality comprehensive range of British made fencing equipment. Allstar UK – The British distributor for Allstar Fencing Equipment. Blades Brand – Fencing Equipment Company. The Fencing Forum – A discussion forum for fencers and those involved with fencing giving early announcements of results, competition information, discussions etc. 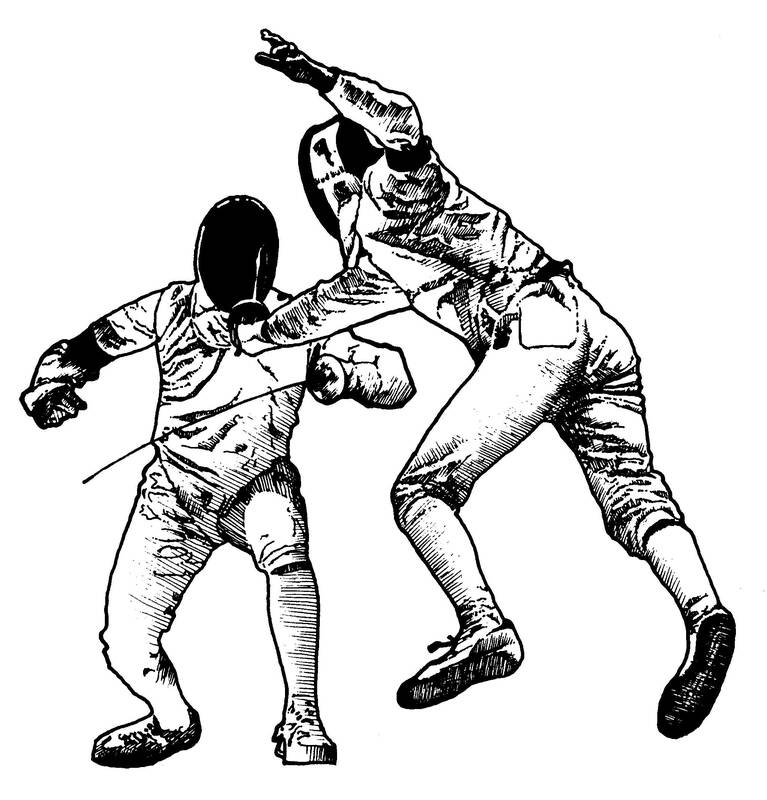 fencingarchive.net – Provides extensive information about fencers results and competition results. Joe Littler – Fencing – the website of Joe Littler who fenced epee for some years with Sheffield Buccaneers. Proove Pizza Restaurant Our favourite pizza restaurant just round the corner from the club and run by Rob Engledow a former club fencer. hello my name is joe shires ,im 17 and interested in taking up a new sport and i have always had an interest in fencing . can you help? come down to our club at 7.00pm on any Wednesday and we can take it from there. is the school near the botanical gardens ?